Whilst the snow still lies deep on the hills there have been signs of spring in the glens and straths for several weeks now. At a glance the land still looks bound by winter, with no leaves on the trees, no flowers and no green grass, just the faded browns and greys of last years dead vegetation. A closer look does show buds on the trees and touches of green on open ground, faint hints of spring. It’s not to plants that I look for the first signs of winter’s fading however but to birds. In the rough pastures outside my home the waders have returned to breed and the bubbling calls of curlews, the piercing whistling of oystercatchers and the softer double note cries of lapwings fill the air. It’s the first sight of these birds that signifies spring for me, especially the lapwings, wheeling and swooping over the fields, their broad, fingered wings rushing through the air. Even more significant is the return of another bird to Strathspey, an iconic symbol of the wild (and now the logo of the Cairngorms National Park). This is the osprey, a fish-hawk that winters in Africa and flies north to the Highlands to breed every spring. Extinct for many decades due to persecution ospreys returned in the 1950s to nest near Loch Garten in Strathspey. They have come back every year since, using the same nest in the same tree, and the Loch Garten Osprey Centre in Abernethy Forest is one of the RSPB’s major attractions in the Highlands. Ospreys now breed in many other places in Scotland but the Loch Garten nest has a special significance and the return of the ospreys and the progress of the breeding season is widely reported in the media and followed by many people, including myself. This year the first Loch Garten osprey returned on March 26 and a second on April 13. Last week I made my annual visit to Loch Garten to see the ospreys, a spring ritual I have followed for nearly two decades. The osprey centre is set well back in the trees from the battered old dead pine holding the big tangled bundle of sticks that is the nest. Telescopes are provided for viewing the distant birds without disturbing them. The female osprey, known as EJ and here for a fifth season, was perched on a nearby tree overlooking the nest, gazing across the forest. Loch Garten is set in Abernethy Forest, a remnant of the ancient Caledonian Forest, a remnant that is now regenerating and expanding under the ownership of the RSPB. Leaving the Osprey Centre I walked through the silent pines past Loch Garten and Loch Mallachie. Rich ground vegetation fills the spaces between the trees, a contrast to the sterile dark confines of a plantation. Out on the lochs goldeneye were drifting with the breeze, vanishing every so often as they dived for food. These distinctive ducks, named for their yellow eyes, breed in nest boxes on trees at the water’s edge. Beyond the lochs rose the snow-covered Kincardine Hills, a reminder that winter was not over yet. View over Loch Mallachie and Abernethy Forest to the Kincardine Hills. Photo info: Canon EOS 350D, Tamron 11-18mm lens@ 14mm, f8@1/500, ISO 100, raw file converted to JPEG in Capture One Pro. 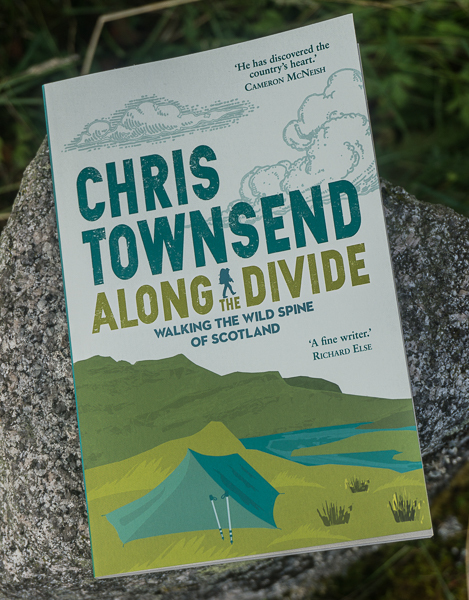 As always Chris your writing and photos of your Journeys are superb. 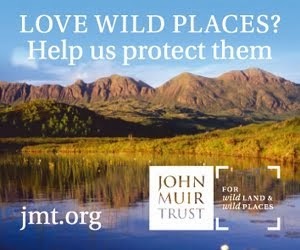 This story is more important, as this is how conservation and reintroduction of wildlife should be done in Scotland. Fence free and walker friendly. Thanks Martin. Of course in this case the ospreys came back of their own accord and then they and their environment were protected. In other cases such as sea eagles and red kites the birds have been reintroduced. Conserving and restoring the habitat for wildlife already here and for reintroductions is very important. So is overcoming the problems of poisoning of birds of prey, which seems to be increasing. Predators are still described as vermin and blamed for any fall in the numbers of prey species by some people. Your have pointed out a powerful point in that for all the efforts of some to bring back missing species to Scotland, others seek to undermine this by there misguided understanding of theme. Understanding will promote acceptances and respect towards predators. Any projects having fences keeping people out of area where they are being reintroduced I fear will only conjure an image of danger, arousing misunderstanding of these creatures instead of admiration for the majestic creatures they are. I don't think it's just misunderstanding. People who make money from game shooting see predators as reducing the numbers of game. It's usually shooting estates that have the least numbers of predators and where poisoned raptors are usually found. A reintroduction can only be genuine if the creature is free ranging. Once you pen it inside a fence then it's not a genuine reintroduction. It is tragic that estates see the predators as a threat to their business interests. Do you think that further legislation and enforcement is needed to protect and prevent the poisoning of raptors? 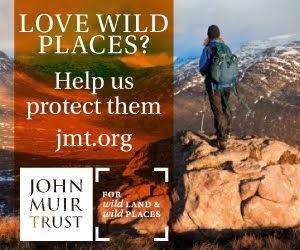 Also has the introduction of say the National park in the Cairngorms made a difference in stopping this practise there? Further legislation isn't needed. The current laws are adequate if enforced. Catching the perpetrators is difficult though. I don't know if the Cairngorms National Park has made a difference. I doubt it.